← Free Sample Of Matrix Biolage Shampoo And Conditioner! Free Medium Iced Tea Or Iced Coffee At Au Bon Pain! That’s right! 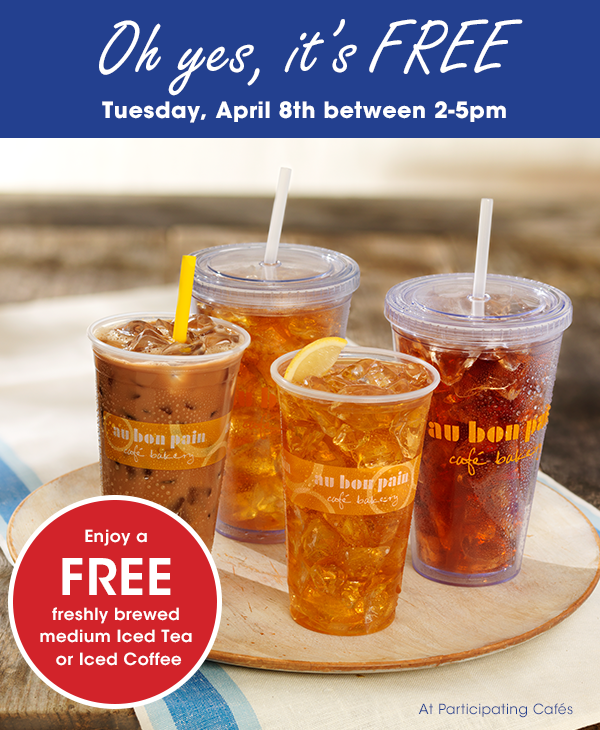 Enjoy a FREE freshly brewed medium iced tea or iced coffee at your favorite, participating Au Bon Pain location on Tuesday, April 8th between 2-5 pm. I’m hoping one of my Coupongy Correspondents from Liberty Place has one for me!